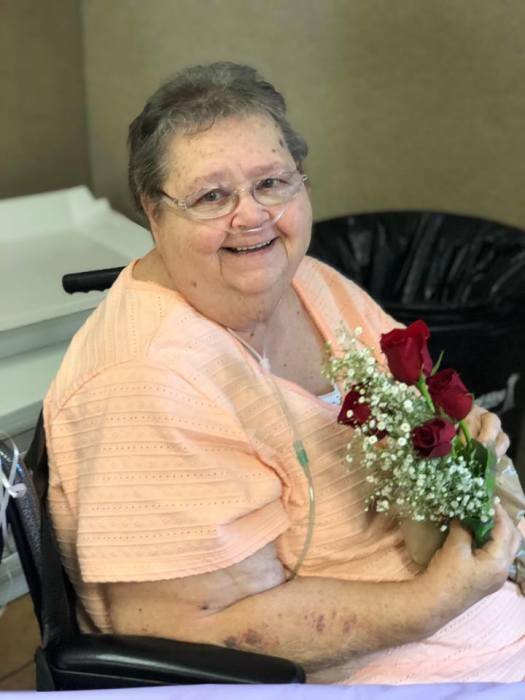 Naomi R. Shafer, 80, of Fort Branch, IN, passed away on January 18, 2019 at St. Vincent Hospital in Evansville, IN. She was born on October 9, 1938 in Arthur, IN to the late William and Ethel (Townsend) Kerney. She was a member of the Fort Branch Church of the Nazarene. Naomi is survived by her loving husband, Eddie L. Shafer of Fort Branch, IN, 3 children; Donna Brown of Princeton, IN, Cynthia (David) Miller of Francisco, IN, and Marshel Shafer of Princeton, IN, 3 brothers; James Kerney of Dunn, NC, Charles Kerney of Evansville, IN, and Paul Kerney of Fort Branch, IN, 12 grandchildren, 36 great grandchildren, and one great great grandchild due in June. A Celebration of Life service will be held on Monday, January 21, 2019 at the Fort Branch Church of the Nazarene at 601 S. Lincoln Street at 11:00 a.m. The family request that in lieu of flowers that donations can be made for end of life expenses.